Weather and climate are words with different meanings. Weather refers to what's happening in the atmosphere in the short term. Climate refers to long-term weather trends. 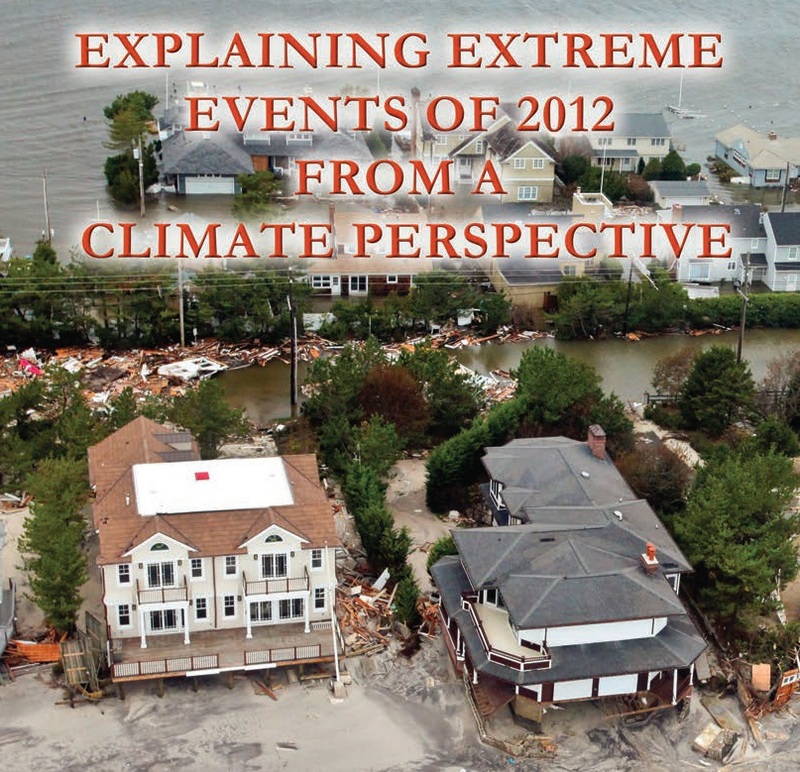 In the year 2012, many people who were living in different places experienced extreme weather events. The record-hot American summer of 2012, according to a new peer-reviewed NOAA report, has links to human-induced climate change. "July 2012-like heat is now four times as likely to strike the Midwest and Northeast as it was in pre-industrial America when less carbon dioxide warmed the atmosphere, according to a Stanford University study. Last year's heat wave, which peaked in July — the warmest month on record for the contiguous USA — exacerbated the nation's drought, ruined crops and contributed to more than 100 deaths"
The report states that effects from "natural weather and climate fluctuations played a key role" in the overall intensity of the 2012 extreme events. 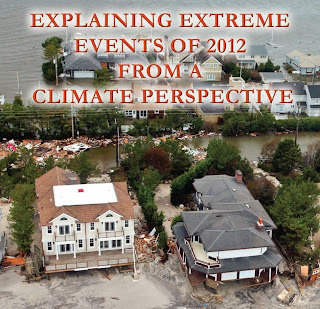 The vast majority of climate scientists will not link single extreme weather events to human-caused global warming; however, one could be reasonable to connect many extreme weather events over a significant period of time to anthropogenic-caused changes in climate.